Feisal Hassan is a PTR 5A Pro and USPTA Master Professional. He is also a member of the Head/Penn Racquet Sports National Advisory Board and National Speaker’s Bureau and holds USPTA specialist degrees in Competitive Player Development, Facility Management, Little Tennis and Sports Science. 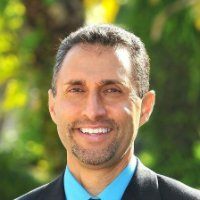 Feisal is also a USTA Recreation Coach National and Quickstart Trainer, a member of the National Cardio Tennis Speakers Team and co-chairs the USPTA National Education Committee and the USPTA College Curriculum Committee. He is also on the USPTA Testing Committee and USTA National Youth Education Committee. He was also the Director of Certification & Testing for the USPTA Middle States division and was co-chair of the USPTA National Diversity Committee. In 2011, Feisal was awarded the USPTA’s most prestigious award, the Alex Gordon National Professional of the Year and the 2011 Racquet Sports Industry Champions of Tennis Award.